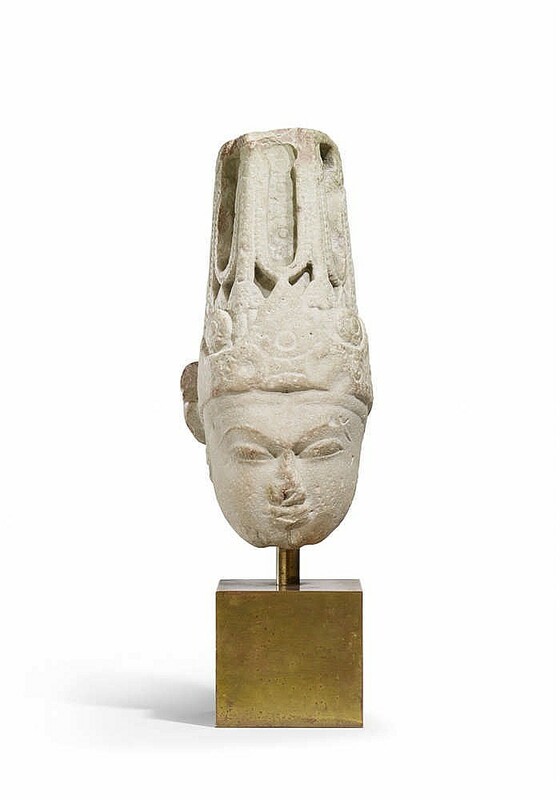 Check out three of our favorite works of Asian art in Lempertz upcoming sale. 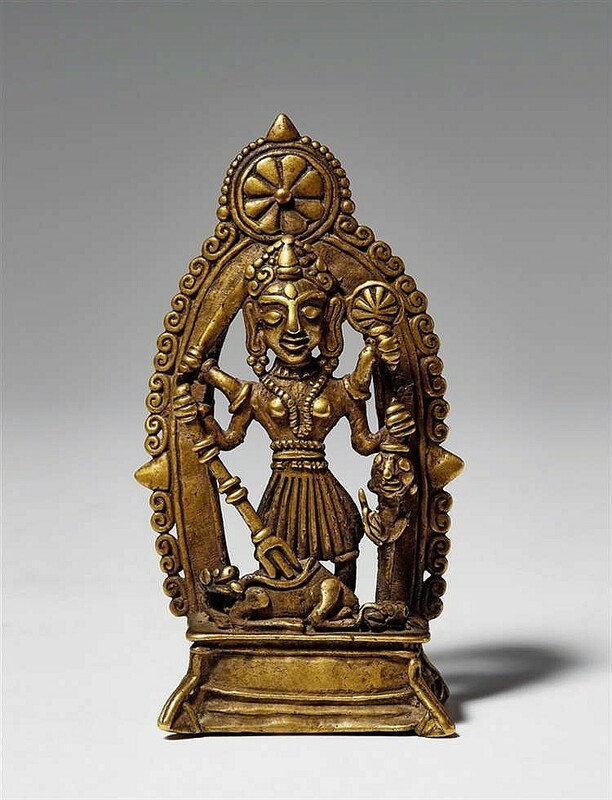 Bala Krishna is a ket element of the history of Krishna worship in antiquity and today is one of the most popular deities of Krishna in many parts of India today. Evidence suggest that worship of Bala Krishna can be found or as early as the 4th century BC. The deity is also widely worshipped by Hindu followers of various traditions in the West. Bala-Krishna is often depicted as a small child crawling on his hands, and knees or dancing with a piece of butter in his hand. The the Balakrishna temple in Hampi built by the ruler Krishnadevaraya in 1513 is one of the most prominent examples of a statue of Bala Krishna. It is believed the baby Krishna killed the monster Putana, by sucking her life from her by taking the poisoned breast she offered him. Durga, which can be translated to mean ''invincible'', is a form of the Hindu warrior goddess. A protective goddess figure, she is often portrayed unleashing her anger on evil in the universe, riding a lion or tiger, holding weapons in her many arms. Durga is worshipped in Hindu temples across India and Nepal by Shakta Hindus. In eastern and northeastern parts of India, Durga is widely worshipped. In Bengal, Odisha, Assam, Jharkhand and Bihar the ten-day-long Durga Puja festival is celebrated annually. The concept of avatar within Hinduism is most often associated with Vishnu. The god's avatars empower the good to fight evil, thereby restoring Dharma. In Buddhism, in Sri Lanka, Vishnu is the custodian deity of Sri Lanka and protector of Buddhism. Vishnu is appears in Sikh scripture in the form of Gorakh. 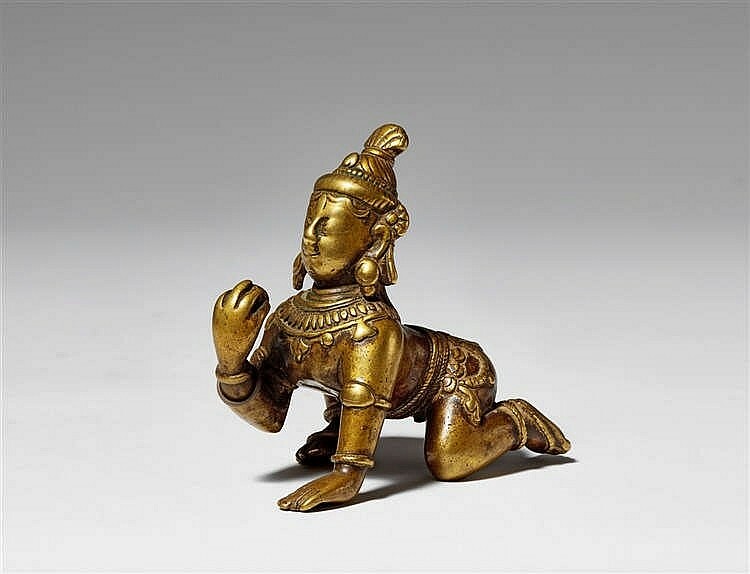 All works featured will be part of Lempertz' Indian, Southeast Asian and Japanese Art auction on June 9, 2017. Check out the full catalog here.